Q: What is it, is it a bicycle? A: It's a bicycle and more. A velomobile is a two- or three-wheeled bicycle propelled primarily by human power with a cover that streamlines the bicycle or trike, adds weather protection, some crash protection and makes the bicycle more useful. Q: Most frequently asked question? A: Does it have a motor? To which I answer," No, you have to pedal it" which sometimes generates dismayed or sympathetic looks. You can add an electric assist and still qualify as a bicycle. Electric assist makes hills more manageable. A: My normal answer to this question is that it depends on how steep the hill is, I start braking at around 80 kph. Given the right terrain it can be much faster than a regular bike. The streamlining effect of the shell does improve performance on the flat and adds considerable speed in rolling terrain where you can use your momentum to zoom up the next hill. Q: What is the visiblity like--can you see clearly around you? A: Probably better than on a regular bicycle because you are not in a heads-down, looking-at-the-front-wheel position. You can see around you as far as your head turns. With the mirrors, you can see what is coming behind and beside you. A: The Aurora weighs about 75 pounds. The Borealis weighs about the same or a bit more. Q: How does the weight affect peformance? A: On level or rolling terrain the Aurora is probably a bit faster than a road bike. However it is slower climbing hills due mostly to the added weight. One important advantage of the trike is that speed uphill is not limited by balance so you can shift down to a low gear and just spin your way to the top. The added weight is also noticeable when accelerating from a stop. Given the right kind of rolling terrain, you can use the extra speed that the streamlining and added weight adds to help in creating momentum for getting up the next hill. This is good fun when it happens. Almost as good is a slight downhill gradient where you can easily zip along at 40-60 kph. Q: Can you take the roof on and off easily? What about the whole shell? A: The roof is attached with velcro and two screws. You need to have a screwdriver handy but it is a quick manoeuvre to put it on or take it off. The shell is not detachable from the Aurora. The Borealis has a QNT trike inside its shell and it can be removed in about half an hour. Q: What is the difference between a recumbent bike and a regular bike? A:The obvious difference is the three wheels on a recumbent trike as opposed to two on the bicycle.Three wheels are stable and so the trike does not tip over when stopped, or when on somewhat uneven ground. There are two configurations: one wheel on the front and two wheels on the back (delta) and the reverse, two on the front, one on the back (tadpole). The seat is like a slightly reclining chair and there is no need to get used to it. Sitting upright instead of leaning over the handlebars allows you to comfortably see ahead and around you instead of having to "look up" from over the handlebars. The handle bars for steering and the brakes are located alongside the seat so that your arms naturally rest on them without any pressure on shoulders, back, and wrists. When riding a recumbent bike, you will notice you use some slightly different muscles from an upright bike, so a period of adjustment is needed to get used to this. Going uphill seems slightly harder as you do not have the "stand up on the pedals option." A recumbent is as manoeuvrable as a regular bicycle although the turning radius is slightly greater and narrow paths can be tricky with its wider wheel base. Q: Does it have a storage area ? A:Tthe Aurora has about 120 litres behind the seat (plus 40 litres under and beside the seat). This is big enough for a gym bag, and three or four bags of groceries. If you use all the storage space when touring you are taking too much stuff. The Borealis has a bit less storage/easily used space but still plenty for getting groceries or going on a tour. Q: Where do you park it and how do you lock it up?  A: The velomobile is bigger than a bicycle and will not fit in conventional racks. However you can park beside the rack and lock one of the wheels to it with a regular bike chain and lock. Q: How do you fix a flat tire? A: On the Aurora, you can fix the rear tires without even taking the wheels off as they're easily accessible. For the front tire, you can remove the front wheel from the fork. This is most easily done by laying the velomobile over on its side on a soft surface, undoing the quick release on the wheel and removing it from the velomobile. On the Borealis the front wheels are accessible with the back wheel inside a fender inside the shell. To fix it lay the velomobile over on its side, remove the cover around the fender, rotate the suspension arm out through the bottom of the shell and the tire can be removed. A: Bright colours are most visible but we have a large selection of possiblities. 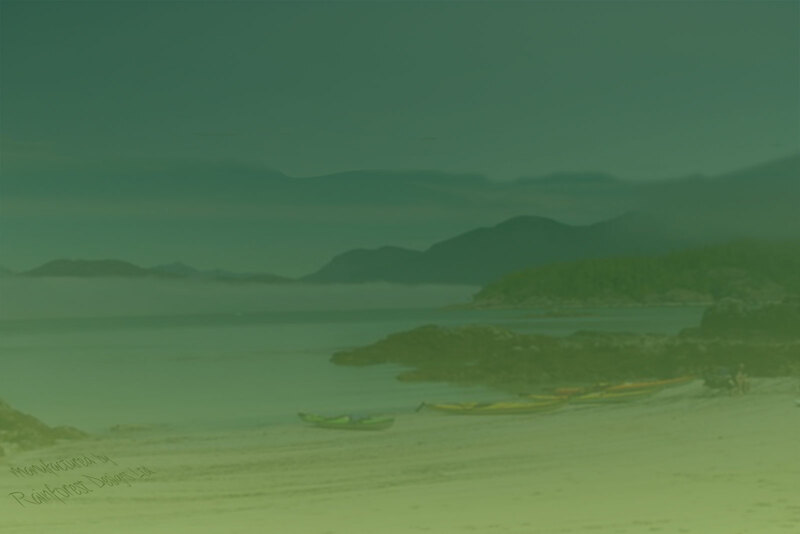 At present, our kayaks are available in 20 different colours and the velomobile could have the same options.